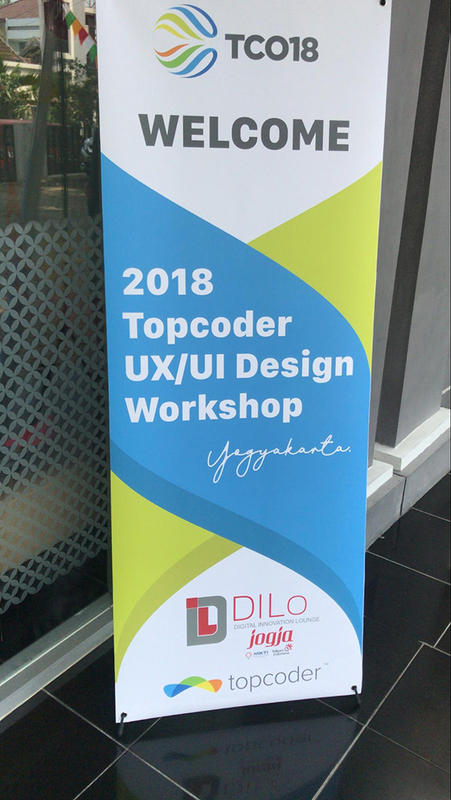 Our 2018 Topcoder UX Design Workshop was held at the Digital Innovation Lounge (DILo) formerly Digital Valley, Yogyakarta on August 9, 2018. 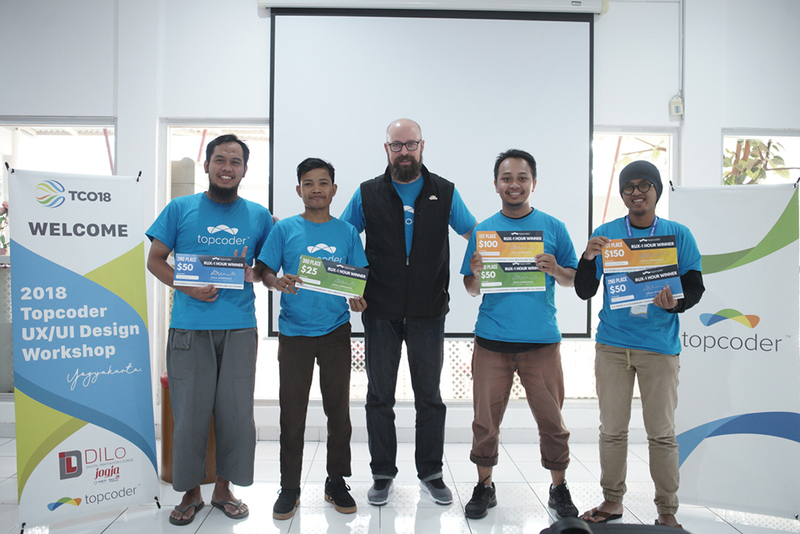 Opening with forewords came from Gery Gebyar, manager of DILo, welcoming the second visit from Topcoder. 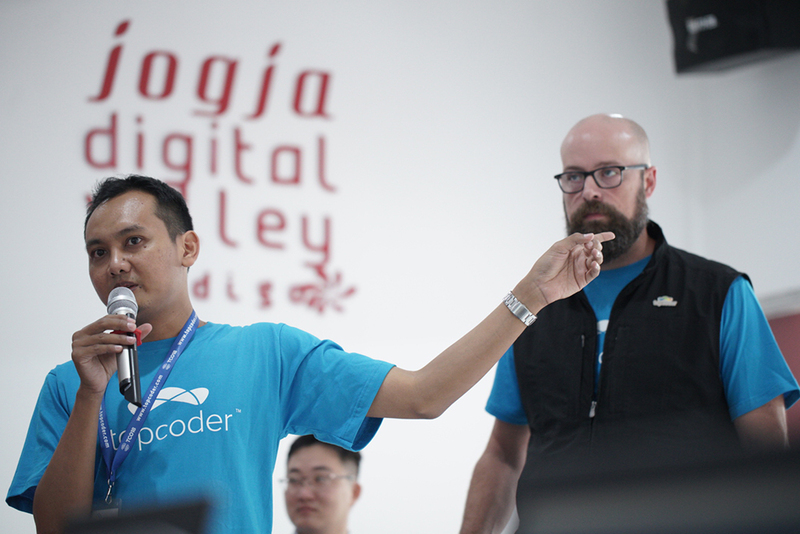 Later Adam explain to the participants what Topcoder is, how it works, how joining Topcoder will improve design skills, and how to start participating in real Topcoder challenges. He concluded in his kick-off this cool video about last year event. Adroc continued the workshop with the first RUX 1 hour challenge. 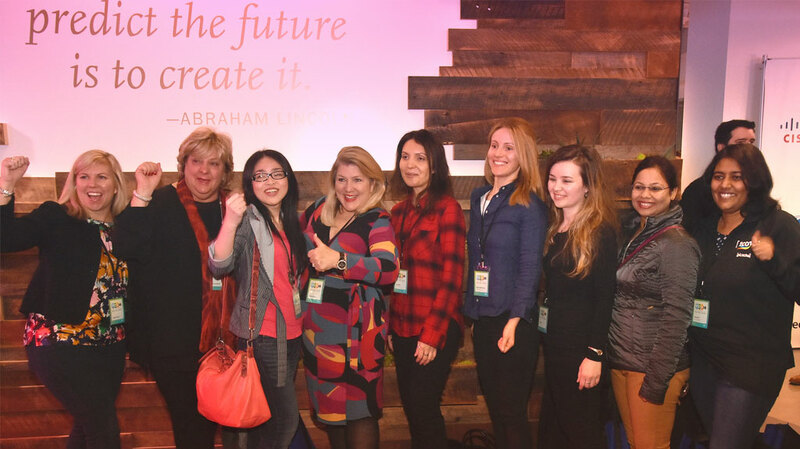 In this challenge attendees were required to design a dashboard for a residential trash picking service app, to win 3 cash prizes. All attendees tried their best to design the dashboard in that short amount of time and submitted what they had. As all attendees were having their lunch, adroc reviewed all the submissions. Before announcement, zazulyzaziz was invite to share his experience on winning a trip last year to the TCO17 finals in Buffalo, New York. 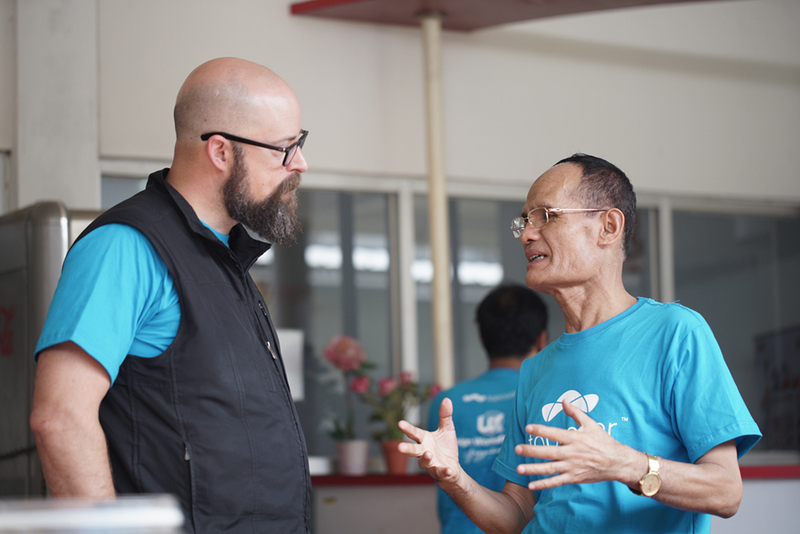 One tip from him was on how to win a challenge is to solve the problem, read the user journey, and present your ideas clearly. 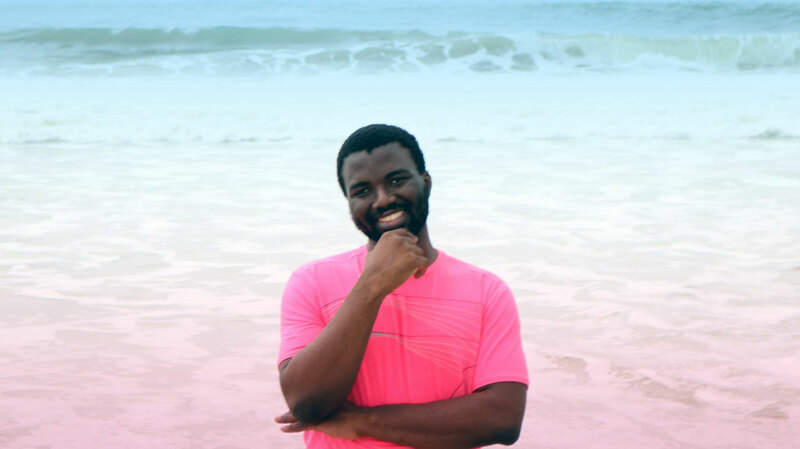 He found Topcoder gave him a chance to tackle real and unique problems. 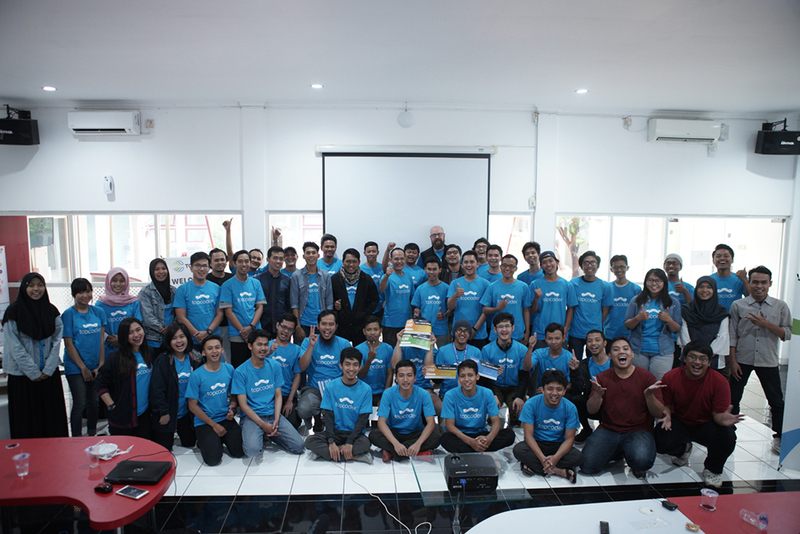 Next cendhika was invited to share his experience from TopCoder to be hired by General Electric. There come questions from attendees who were curious about their secret to success: how can you design in 1 hour? cendhika: Don’t waste your time. Start creating the basic elements as soon as possible and think about the problem as you work. Don’t design twice. As you progress further you’ll notice there is improvement needed. That way you use your one hour efficiently. zazulyaziz: I have my own methods that differs from cendhika. I always start with sketching on paper and do the refine design later. 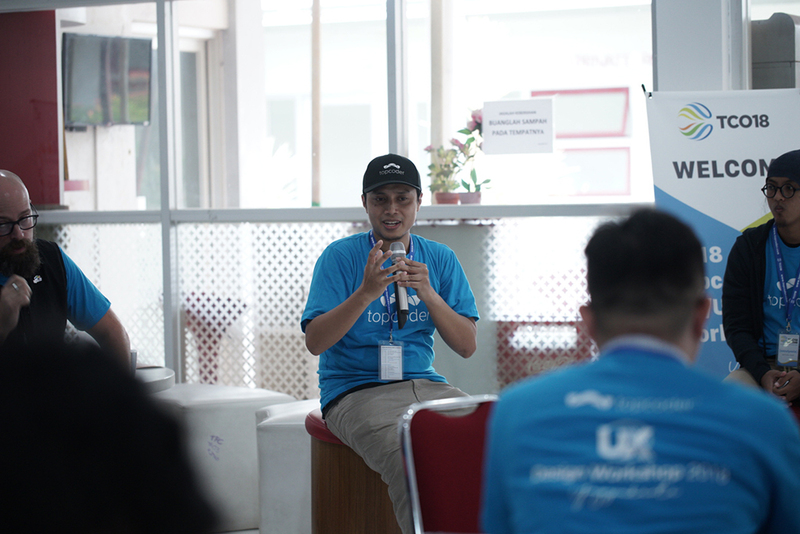 adroc summarized their experiences by telling the reason why GE hired cendhika — because he gave a different and creative solution. 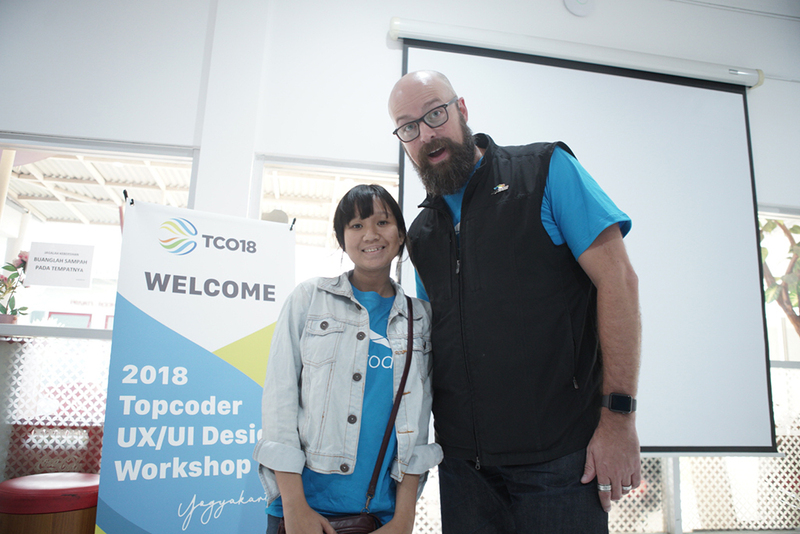 He also shared another inspirational story from the TCO17 finals championship which started the journey of kharm at Topcoder from algorithm in 2006. He won his first ticket to United States at the TCO16 regional event but was eliminated at TCO16 final. That setback didn’t make him stop. Next year he came back to be TCO17 finalist and won as the winner! Click here to read his full story. Later adroc presented the selected 11 submissions from participants, discussing his thoughts on what things can be improve, which value should be implemented more, what ability is important and need to stands out, etc. Then it came to our top 3 as the winner. Actually the problem which they’re trying to solve for one hour was run before and adroc showed the winning results so they can learn what to expect if they jump into a Topcoder challenge. 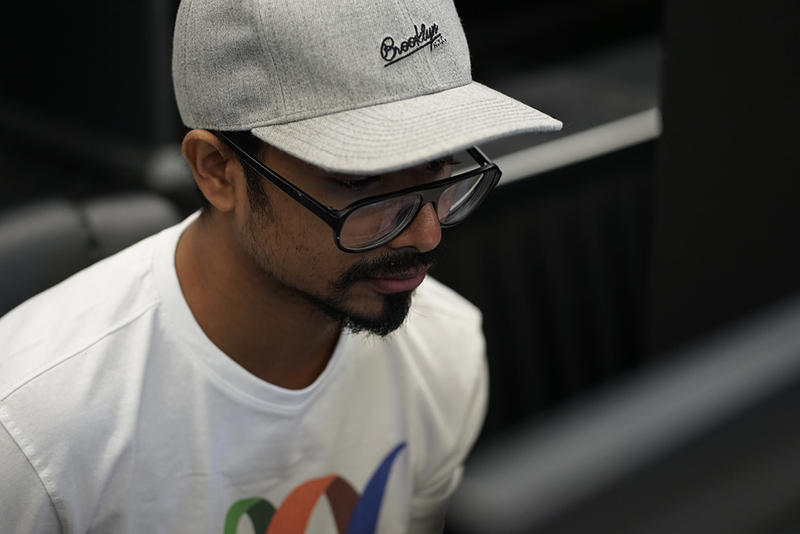 He also shared his knowledge and experience from his own design journey. The second RUX 1 Hour Challenge started with new problem. The one asked designers to design a marketing promotional page to promote the trash picking app to get people interested in using the app. When they were done submitting their design, adroc reviewed their designs and showcased the submissions. He went over the advantages and disadvantages on each submitted design. 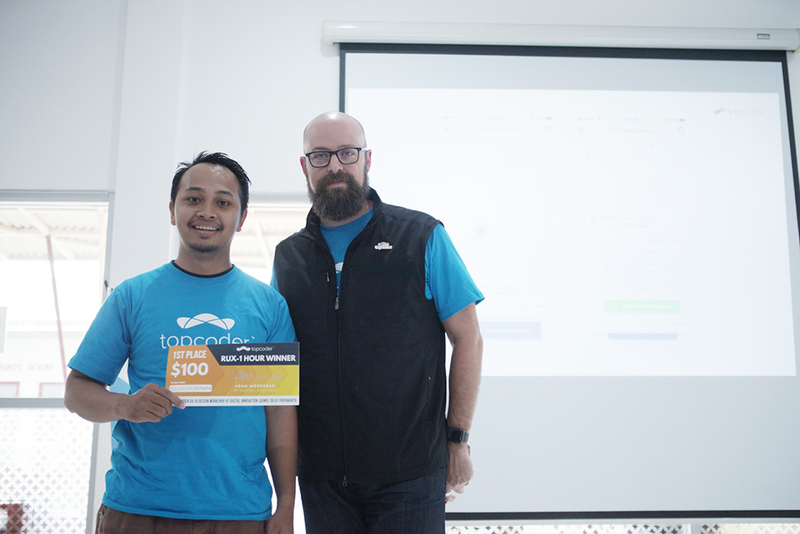 Afterwards he announced the winner of 2nd RUX 1 Hour Challenge. All the winners. Congrats guys! 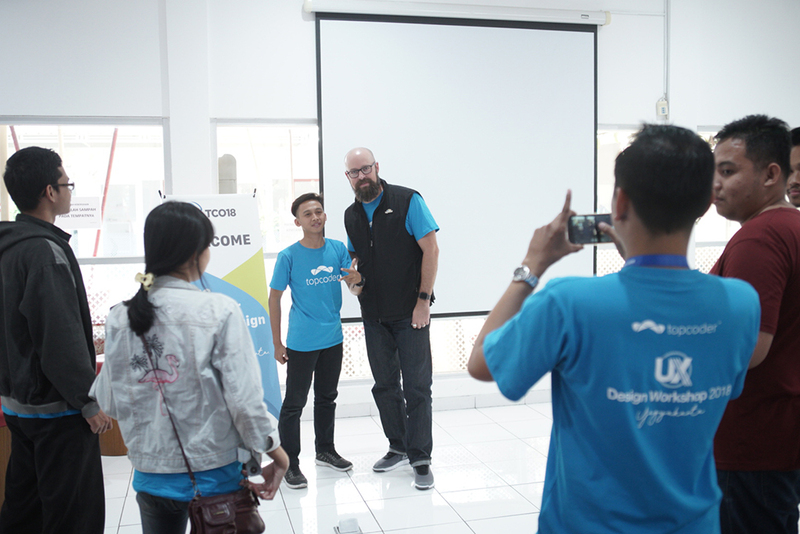 The Topcoder UX Design Workshop Yogyakarta wrapped with taking lots of selfies and photos with adroc. Congrats to all winners! 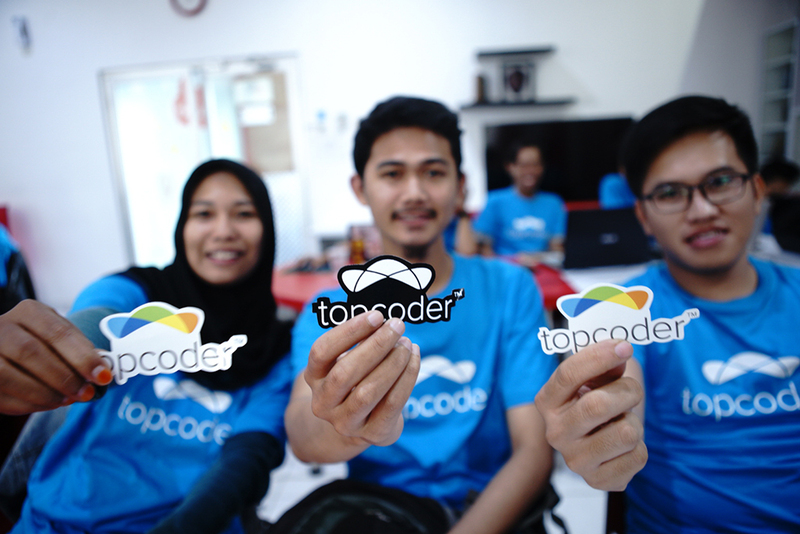 About 70 attendees came and joined us on this event including a seasoned designer, Muhammad Thaufiq who already registered at Topcoder on 2016 using handle pinat. He was so enthusiastic. pinat—the oldest attendees who keep asking question to adroc. Love his spirit! One epic image (below) was captured during the event which brought us to laugh when we saw it!